Diamonds are among the most precious gemstones in the world. For centuries, these precious rocks have been sought after, polished to perfection, cut at precise angles, and revered for their absolutely breathtaking beauty. Diamonds have become even more valuable in our economy today. Many people have even resorted to trading diamonds instead of cash. By and large, people who show an interest in diamonds are primarily inspired by the majestic natural beauty of the stone. Others are more interested making an investment that will benefit them in the future. Regardless of the motive behind the purchase, they are interested in getting the most value for their money. Research has shown that women generally prefer diamonds more than other gemstones or pearls for their wedding rings. Diamonds have thus become a symbol of both wealth and status. Colorless diamonds being viewed as the most precious of them all. If you are currently on the hunt for the perfect ring, take a few minutes to learn more about colorless diamonds and how color could affect your budget. So What Exactly are Colorless Diamonds? In white diamonds (not diamonds that are naturally colored, referred to as “fancy color diamonds” such as pink or canary yellow diamonds), the absence of color or yellow tint/shadow is preferred, and a stone that has no yellow color/tint/shadow at all would be considered Colorless or D color. The Gemological Institute of America (GIA) considers D-F color diamonds as Colorless. G to J colors on the hand are considered as Near Colorless. However, G is very close to being Colorless as opposed to say J. Please carefully review our guide on diamond color as well best diamond color for more details. Below is an illustration of the different ranges. 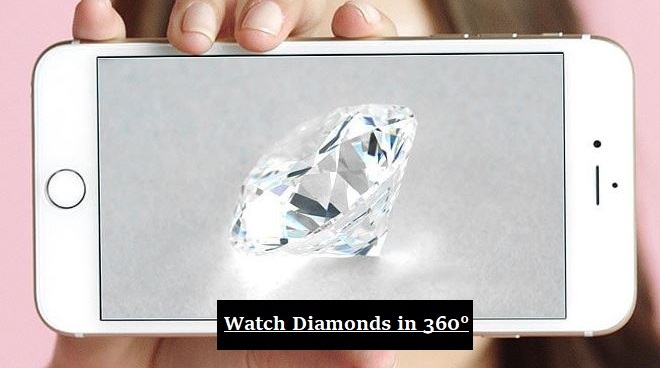 James Allen has the perfect 3D 360 Degree Technology with 40X Magnification for comparing diamonds. Try to play with their filter to get an idea of how diamonds look with different clarity, cut, and color scales. Diamond Fluorescence is a factor that is very important to understand while dealing with the color of a diamond. In colorless diamonds, it is generally a good idea to avoid fluorescence because it can make diamonds look overly blueish. However, in higher color ranges such as H, I, J and above, fluorescence can be a helpful factor as it can make the diamond look whiter than it actually is because blue is a complementary color to yellow - blend the two colors and you will get white color as a result. Gemologists typically use what is known as the four Cs to determine the cost of a diamond. The Cs represent cut, clarity, carat, and of course, color. The four Cs is a result of the painstaking research completed by the Gemological Institute of America. The scale they have developed ensures that diamonds are assigned a standardized GIA rating. It should be noted that especially for diamonds being purchased as an investment, only the GIA scale should be used. Internationally, this scale is the most respected and recognized diamond rating. Color is believed to be among the most important factors for the assessment of a diamond. Gemologists, however, often reason that it is the cut of the diamond that determines its brilliance. The GIA scale used to assess the color of a diamond ranks diamonds from D to Z.
Colorless diamonds are ranked anywhere along the spectrum from D to F. These diamonds have the least possible traces or tints of color. Diamonds with the strongest tints of yellow or the most color are ranked X, Y, and Z. How Rare are Colorless Diamonds? As you can imagine, diamonds can be ranked anywhere along the spectrum of options available on the GIA scale. It is, however, statistically less likely to find a completely colorless diamond. Be warned though, many of these colorless diamonds on the market are not real diamonds and have been artificially produced. Recent statistics indicate that less than 1% of all the diamonds mined can be categorized as D or E rated colorless diamonds. Are Colorless Diamonds More Expensive? The laws of supply and demand dictate that if the item is in short supply the prices will generally tend to be a higher. Thus, if only one percent of the world’s diamond supply can be categorized as colorless we can expect these diamonds to be significantly more expensive than most colored diamonds. It should be noted that certain rare colored diamonds, such as those that are red, purple, or pink, can be more expensive than some colorless diamonds. That is because these are very uncommon colors for diamonds. Diamonds usually feature shades of yellow, orange, or brown. The question, however, remains, ‘how can one save money when purchasing diamonds?’ Also, ‘are colorless diamonds the best option for me?’ As previously mentioned, the aim is to get value for money. So let us discuss how to get more bang for your buck. Many who have found colorless diamonds to be too expensive have opted to purchase near colorless diamonds instead. Some may scuff at the idea because they believe they would be getting an inferior quality diamond. This is, however, very far from the truth. Near colorless diamonds can be just as brilliant as colorless diamonds. Firstly, note that it is impossible for an untrained eye to spot the difference between a colorless and near colorless diamond. The differences are so minute that you would need a ten times magnification loupe in order to see them. This simply means that you would have to be an expert gemologist in order to see the flaws in a near colorless diamond. Is it really worth paying that much more if you can hardly see the difference? On the contrary, if you have the funds, a colorless diamond would of course be the most highly recommended option. These stones can be absolutely breathtaking when cut precisely to ensure maximum brilliance. They are also a sight to behold when set in platinum or white gold. Yellow gold tends to make colorless diamonds appear tinted. Money is usually no object for investors. But for the average love-struck Joe seeking an engagement right, price will be one of the biggest factors that determine whether they purchase a particular diamond. Here are five simple suggestions to help you save money when searching for the perfect diamond. Most rings usually feature a center stone and two or more adjacent stones. You can save yourself a pretty penny by opting to use a colorless center stone and less expensive near colorless adjacent stones. The brilliance of the center stone will hide any flaws in the adjacent stones. This is a much more affordable option than purchasing only colorless stones for the ring. It would also be a good idea to get a smaller center stone. Many have opted to use clusters of small, but excellent quality diamonds instead of one large stone. This style is trending and thus no one will be able to tell that you saved yourself a lot of money. The color of the stone should not be your only priority. Since colorless stones are so expensive, you can opt to purchase a near colorless stone that is of excellent clarity and well cut. The aim is to find brilliant stones regardless of their color. The clarity of the stone refers to the presence and visibility of flaws or inclusions. A stone that is cut well is cut at just the right angles to ensure that it brilliantly reflects the light around it even if it has tints of color. Inclusions that are visible to the naked eye will detract from the overall appearance of the stone. Near colorless stones with a few inclusions that are cut well can be exceptionally beautiful, but will certainly cost a lot less than a colorless stone. Many people tend to tend to forget that jewelry stores also capitalize on sale seasons as well in order to maximize profit. You can thus save a lot of money by shopping at the right time. This will allow you purchase the diamond of your choice without having to waste a lot of your hard earned money. It would also be wise to shop around and compare the prices even during the peak of a sale season. There is no shame in getting a great deal on an amazing diamond. When all is said and done, diamonds are diamonds. Once they are professionally cut and set they will be beautiful. There is thus no real reason to avoid purchasing a colored diamond. Clever marketing strategists try to paint the idea that colorless diamonds are the most beautiful diamonds on earth since this will fuel the demand for such diamonds and drive up their price. Many industry experts do not agree with this notion. Even expert gemologists have often stated that colored diamonds can be equally breathtaking, especially when the right procedures are undertaken to preserve its beauty. You can chose to purchase a diamond in the favorite color of the bride to be. Don’t be fooled by mainstream media. Choose the diamond that you think will best symbolize your love and that also suits your budget. A diamond ring is only one of the expenses a new couple will have to contend with before they wed.
Purchasing a colorless diamond as an investment that can be tricky business. In order to make the best choice you have to ensure that you focus on the cut, clarity, carat weight, and even the shape as well. Focus on how the diamond compares across the entire spectrum of the GIA scale. A diamond may be colorless but may not sparkle because of the clearly visible inclusions and would therefore be a bad choice for an investment. As you should have realized, the process is certainly a lot more tedious than buying an engagement ring. Another important key to making a wise choice is to be aware of current market trends. For example, research indicates that in 2016, smaller diamonds were in greater demand than larger diamonds. 1 ct diamonds have remained as the most popular size diamonds. Anticipate how these kinds of trends will affect the supply and demand, and ultimately the price of the diamond. 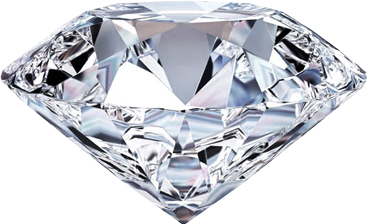 The shape of the diamond is not one of the four Cs but it certainly does have a bearing on your investment. While we are all entitled to our preferences, brilliant round diamonds are the safest choice for an investor. More intricate shapes such as square and princess cut diamonds tend to be more expensive since the jeweler would have cut away and essentially wasted some of the diamond in order to achieve that shape. Purchasing a round diamond ensures that you get the more value for money. While investors may have access to a larger pool of funds, they too may have concerns about the price of the diamond. After all, clever wholesalers and retailers are entitled to putting a markup on the price of the diamond. The Rapaport Price List was thus invented to help protect buyers. The Rapaport Price List is an international benchmark to determine the price of any diamond. The price of each diamond is determined by its size, clarity, and of course its color. What is unique about this list is that it is updated weekly in order to keep up with current market fluctuations. Prior to the invention of this list, a buyer was completely at the mercy of the seller. Now, armed with this list, buyers have a much clearer understanding of the actual value of the diamond and can easily determine whether the sales person has put an exorbitant mark up on the cost of the diamond. When in doubt, feel free to walk away and consider other options. In recent times, the Rapaport Price List has been made available online. It would be wise to download this list and take it with you as you make your purchases. Just ensure that you download the latest version of the list. Once you have identified the diamond that offers the best value for the right price, insist on seeing the GIA certificate. A diamond is a huge investment that should not be taken lightly. Many diamond sales representatives are dishonest and try to pass off fake diamond simulations as real diamonds. Plus, once you are ready to sell the diamond you’ve purchased, you will be asked to present the GIA certificate as well. In summary, it should also be clear that colorless diamonds have been lauded as the ultimate choice and are far more expensive that near colorless or most colored stones. Regardless, beautiful diamonds come in all shapes, colors, and sizes. Making a wise choice for an engagement ring or another type of personal jewelry is ultimately hinged on your understanding of the four Cs.